I was born in Omaha, Nebraska in 1982. I grew up in a nominal Catholic home with a split family and four younger sisters. Athletics was highly emphasized in my family, therefore I competed in hockey, football, wrestling and baseball. But my love and my god was baseball. I was on a collision course with my idol, as I attended college on a full baseball scholarship with dreams of making the “big leagues.” After spending a year and a half at the University of Nebraska, Lincoln (The Cornhuskers!) I transferred to a junior college in Overland Park, Kansas. It was while pursuing my dreams in Kansas that I violently collided with the One True and Living God and first met my Savior Jesus. I was saved, radically transformed, baptized, and joined the local church at 21 years of age, 2003. I then returned to Nebraska and continued to play baseball. My last semester of baseball was very difficult; I wanted to be at church instead of the baseball field, reading the Bible instead of practicing, and fellowshipping with Christians instead of my teammates. My god, baseball, had been replaced and I was now serving the Lord; I did not play my final year of eligibility due to my convictions. Simultaneous to God calling me to Himself during my college career, He was also working in the life of my girlfriend, now my wife, Ashlee. She was back in Lincoln completing her degree. Through the efforts of her parents, she came to the saving knowledge of Christ nearly the same time as I did! I married my best friend Ashlee in 2004. We welcomed a new son, Noah in 2005, then Micah in 2009, and now await the latest blessing of our third son due to arrive this November. 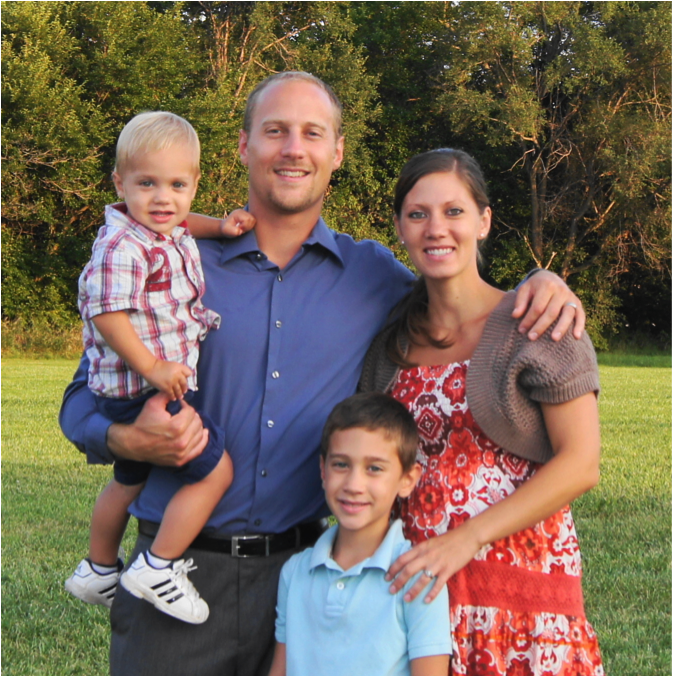 The first few years of my new life in Christ as a husband and parent, I completed my undergraduate studies, enrolled at Midwest Center for Theological Studies, while holding two jobs and serving in the youth group at Grace Baptist Church of Papillion. I officially began an internship at Grace Baptist Church in pursuit of confirming my call to the full time ministry in 2005. During this time I continued to be mentored under Pastor Lou Sloger and complete my seminary training at Reformed Baptist Seminary. My call to the pastorate was confirmed by the elders and members of Grace Baptist Church of Papillion, and I was ordained on August 8, 2010 as a full-time Associate Pastor. My current pastoral responsibilities include assisting in the leadership and vision of Grace Baptist Church, teaching, youth ministry, oversight of community outreach and evangelizing efforts within the local school districts at the junior and senior high school levels, and mitigating the gap between the youth and adults within the body at Grace Baptist Church.